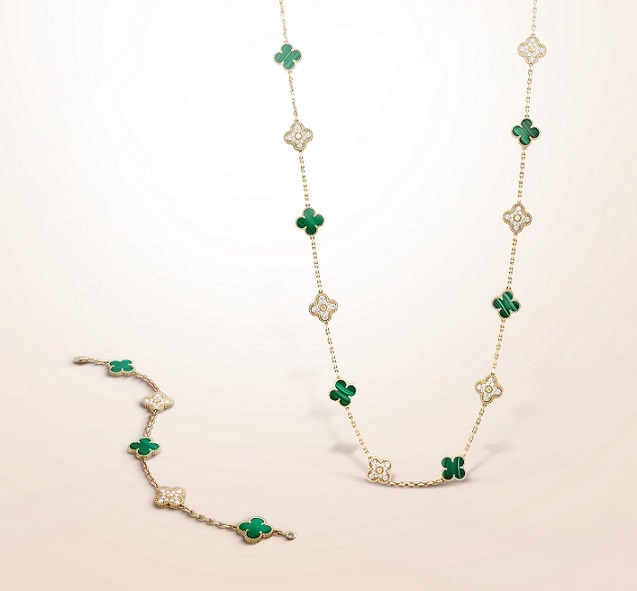 Van Cleef & Arpels unveils its new Vintage and Magic Alhambra® creations set with malachite and diamonds. These two natural materials form a perfect harmony to embellish the Maison’s icon of luck. Since its creation in 1968, the Alhambra collection has lent itself to joyful variations, in a range of gold colors and materials. As early as 1973, the Alhambra long necklace was adorned with malachite, a hard stone of unique beauty traversed by light and dark colored striations. Its nuances of green suggest the vitality of nature and the constant renewal of "ora. 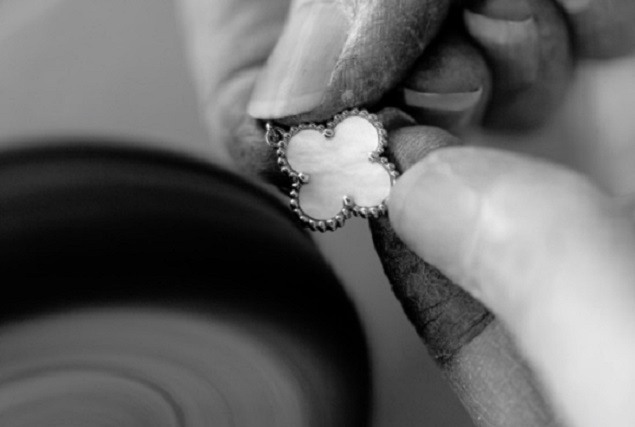 Today, Van Cleef & Arpels honors this beguiling stone with #ve new Alhambra pieces. To match the long necklace and bracelet unveiled as a preview for the opening of the Milan boutique, the set now features a necklace, pendant and earrings. Bringing together yellow gold and diamonds (D, E or F for color and IF to VVS2 for clarity), these creations instantly captivate the eyes with their plays of color and light. Selected using the most stringent criteria, the malachite used by Van Cleef & Arpels mainly comes from Australia: it is remarkable for the consistency and regularity of its colored stripes. 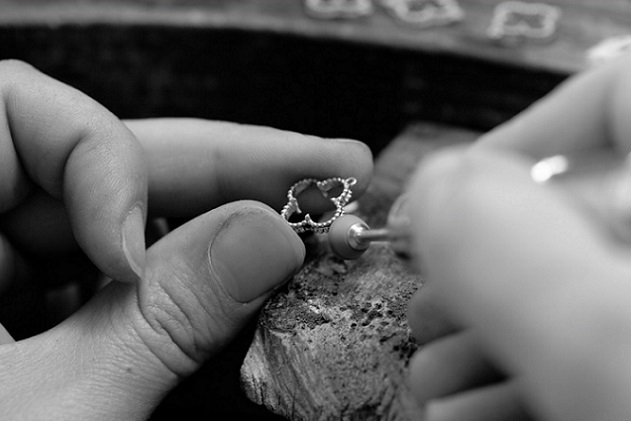 The stones are then carefully matched to ensure a perfect harmony on each piece. Giving pride of place to materials that the Maison holds dear, these new Vintage and Magic Alhambra creations come together in harmony. The Vintage Alhambra necklace, pendant, long necklace and bracelet form elegant combinations when worn with the Magic Alhambra Between the Finger™ Ring adorned with malachite. The nuances of this hard stone also complement the speckled aspect of bois d’amourette (letterwood) and the bronze sheen of tiger’s eye, giving rise to subtle gradations of color. For a feminine appearance, the Magic Alhambra earrings’ gold border may be elegantly combined with the Perlée™ collection’s emblematic beaded contour, while the "owers of the Cosmos™ and Frivole™ collections adorned with heart-shaped petals echo the delicate curves of the Alhambra motif, itself a lucky symbol.